Hi lovely readers, how are you? Are you ready to make this week an organized one? Let’s get right into it shall we? 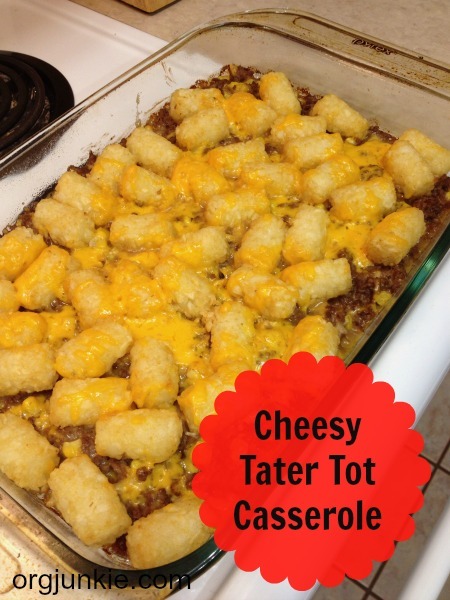 Last week I made this Cheesy Tater Tot Casserole recipe and it was delicious. I made two of them, one for our family and one for a freezer meal for a friend who just had a baby. Just I finished assembling the casseroles though, I realized I didn’t know whether or not I was suppose to cook the second one first before freezing it or go ahead and cook it and then freeze it. So I threw the question out to my Facebook friends before deciding that cooking it first would be the way to go. I’ve since found a great post over at Money Saving Mom that tells you how to turn a regular recipe into a freezer recipe. This week’s ebook bundle relates to food so I wanted to be sure and link it here for those that might be interested. I saw this adorable menu planning board over at my friend Jen’s site Balancing Beauty and Bedlam. It’s so creative and fun made out of a cookie sheet. You can find the tutorial here. Tater Tot hotdish is a staple in these parts 🙂 But, I don’t know that I’ve tried one with cheese. Yum. I’m feeling super organized this week. For some reason I hopped out of bed at 6 this morning ready to tackle my lengthy to-do list. Thanks for always being such a motivation! Wow! That creamy baked spaghetti looks delicious. Have a great week! Love that cookie sheet! Menu is set and ready for the week – let’s just hope that the sick kids don’t impede my ability to make everything! Have a good week! Just getting my blog going again and excited to join the Menu Plan Monday link up! Awesome, glad you are here! 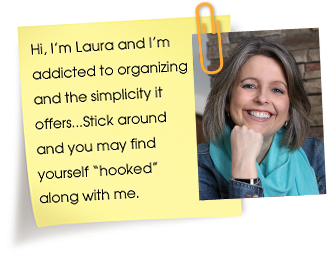 Hey Laura… thanks for the link every week… For as long as I’ve been blogging, I have stopped by to see all the wonderful menus (well, not all of them), and even if I don’t blog some weeks, I will still have our menu plan. Lost without it! Thanks so much, sweet friend, for the shout out. I just want to thank you again for this feature. I was one of the Atlantans on the news last week stuck in the ice and snow for a 9 1/2 hour journey home (to go about 6 miles). For the next two days I wanted to go nowhere, do nothing, and definitely wasn’t driving anyplace. Thanks to you and MPM, I didn’t have to – we had a week’s worth of healthy meals planned and all the supplies we needed. It was the one thing I was NOT stressed about.